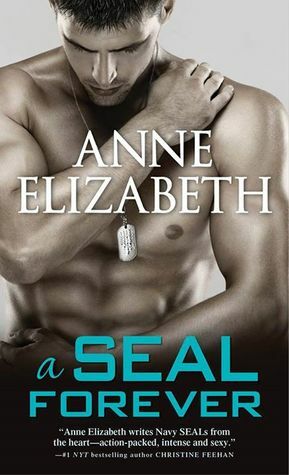 Maura Maxwell is working on getting her life in order and though she would like to get to know her neighbor Declan Swifton, who is a Master Chief for Seal team 5. She has also seen different women go in and out of his condo. Declan comes in from a swim in the ocean and notices a storm is coming in so he goes inside to shower when he comes out and it is raining and the ocean is now rough he thinks he sees something out by a buoy. Grabbing his binoculars he sees someone holding onto the buoy and he runs into the ocean and goes out to get them when he realizes that it is his neighbor Maura. After getting her to calm down and to trust him to bring her into safety he then goes into medic training because she is freezing cold. This sets the stage for the beginning of a relationship or for each at least a try at one. It goes along good for weeks her with her new gym that she is in the process of buying and between her free time and his when his team is not training they spend time together and some weekends. This goes along good until they are at a very nice restaurant and they over hear a fight between a couple and the female ends up sitting at their table. Her and Declan dated a few times and now she thinks he is hers because she just broke up with someone. He tells her to leave and after a little bit she leaves but they end up fighting. After about four days she decides that it was foolish for her to get into a fight with him over this women when he wanted to be with her, so she goes next door only to find that he is gone but the place is a mess. Her thinking is that he got deployed quickly, so her cleans his place and decides that when he gets back to talk to him. He is on a plane with his team going back to Afghanistan and as he is usually able to sleep all he can think about is Maura. The first time in his life that he has thought of anyone else before a mission. He knows that when he gets back that he must talk to her and make it right. When it comes to the mission it seems to go good up until the very end and the tunnel that they were blowing up blew up before he made it all of the way out. The rest of the team was okay but he ended up losing part of his left leg, and he was in the different hospitals for months. When he finally did get back he did not tell Maura, until a few days later when he had a bad morning and crashed and broke some furniture plus was still having other physical pain. She came over to see what made the noise only to be surprised that he was home not of his injuries. She help him clean up and then she worked with him to get better both physically and emotionally. The second part of this book was very powerful because not only was he having to fight to get healthy again but they had to fight and decide what they wanted to do as a couple, and she turns into a very strong, but loving force and together they became a team. A very good book with good characters and some funny old guys thrown in there to make seem real. A good book. I got this book from netgalley. I give this 4 stars.